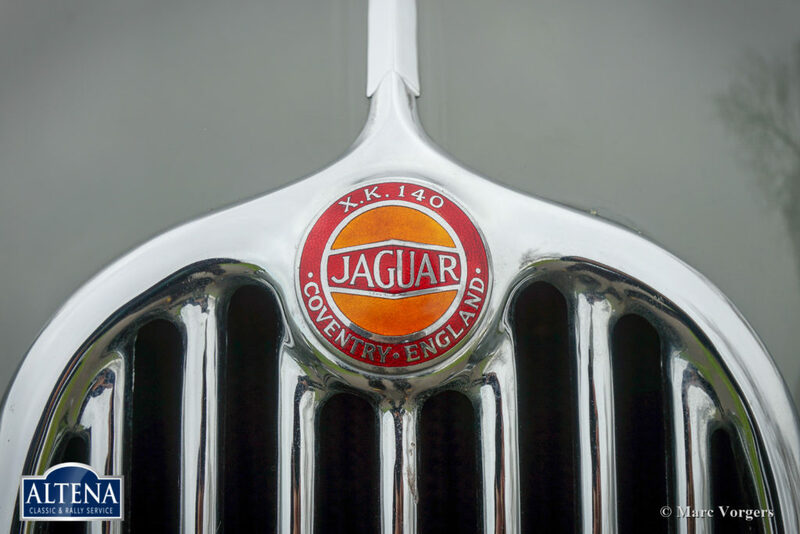 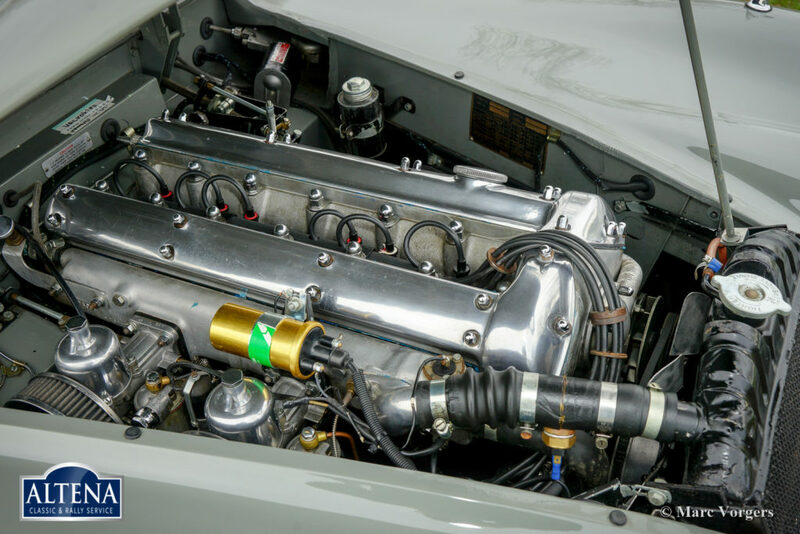 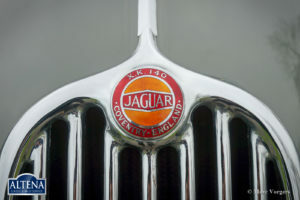 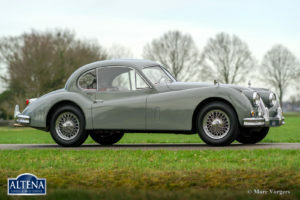 Jaguar XK 140 3.4 Litre SE FHC, year 1956. 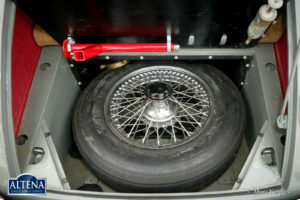 Chassis number: A81545X BW, engine number: G7351 X, original delivery with Special Equipment package AND automatic gearbox. 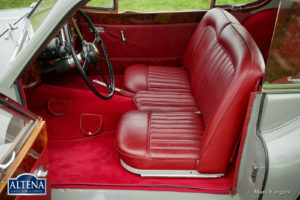 Matching numbers and colours! A Heritage certificate is present to confirm this. 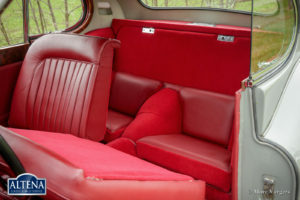 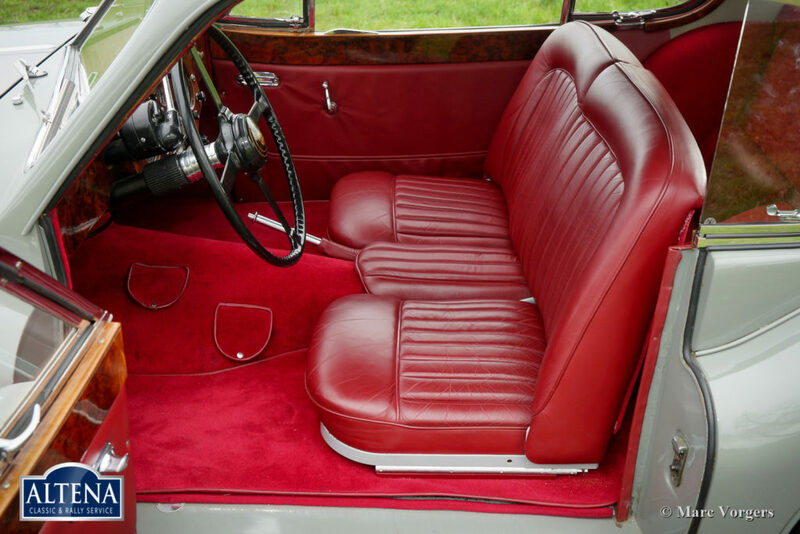 Colour Birch Grey with a red leather interior and red carpet. 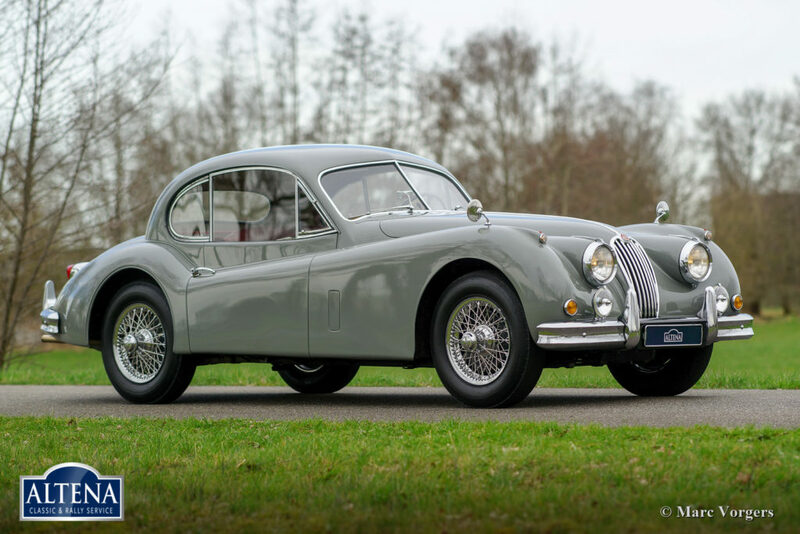 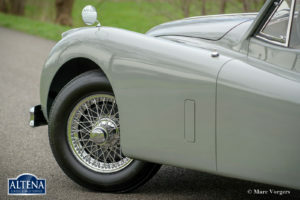 This gorgeous Jaguar XK 140 was sold new to Oklahoma in the USA. 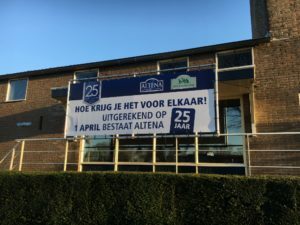 The automobile was imported to the Netherlands in the year 1992. 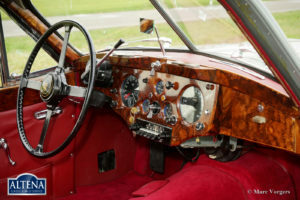 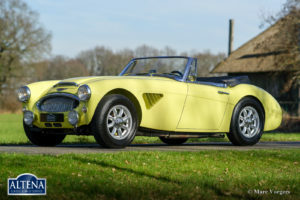 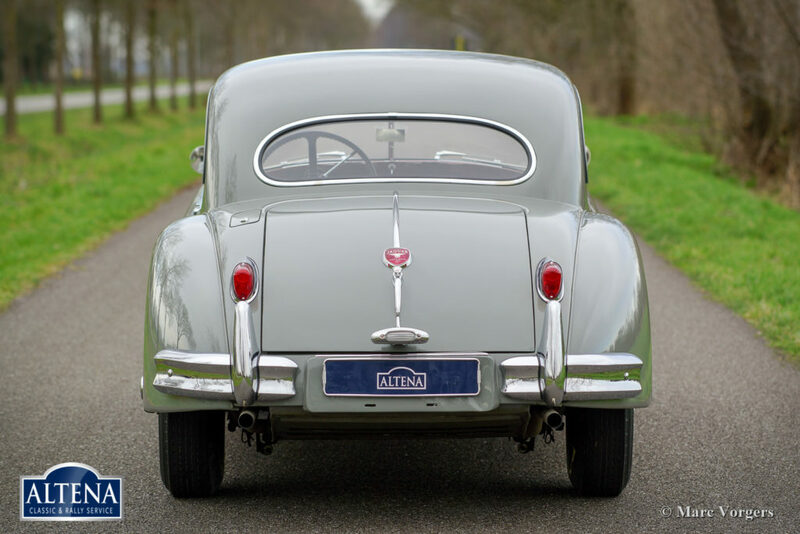 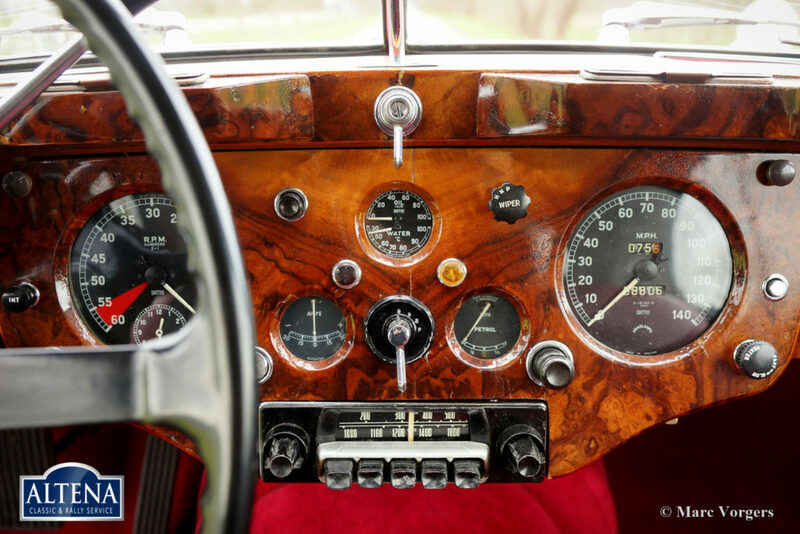 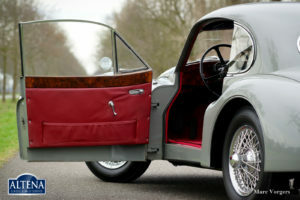 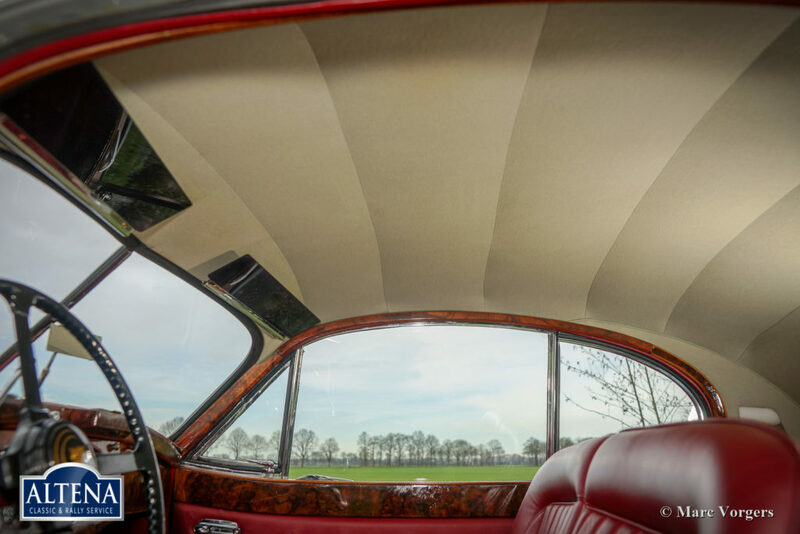 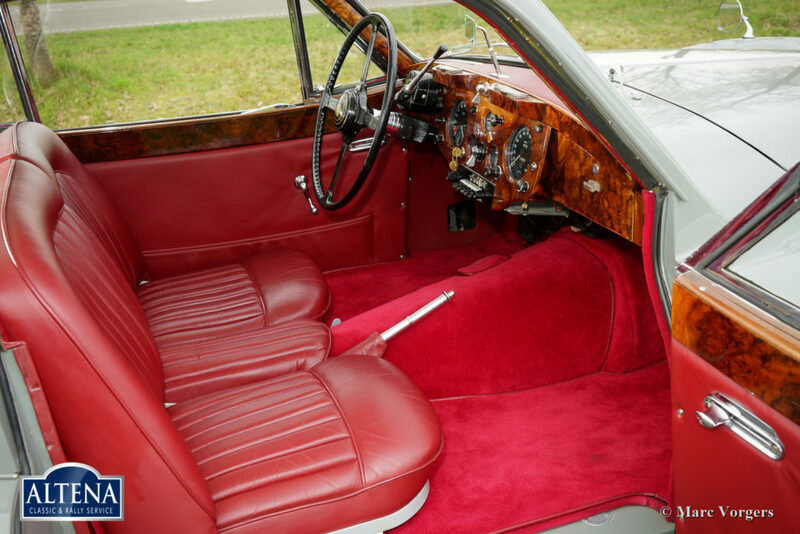 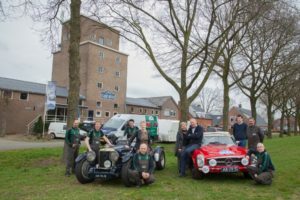 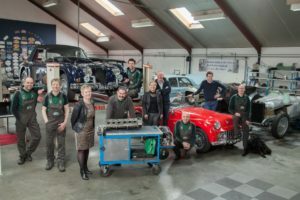 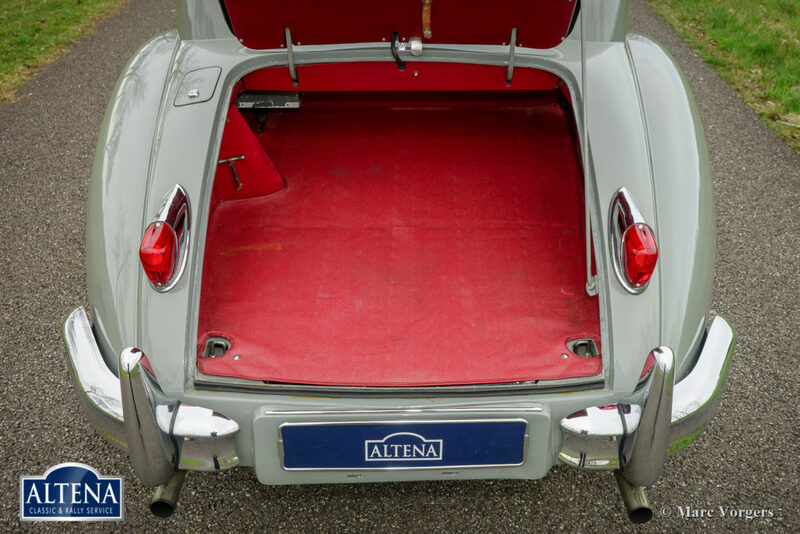 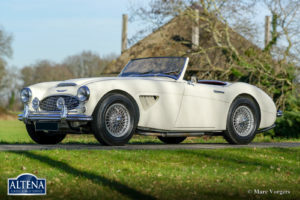 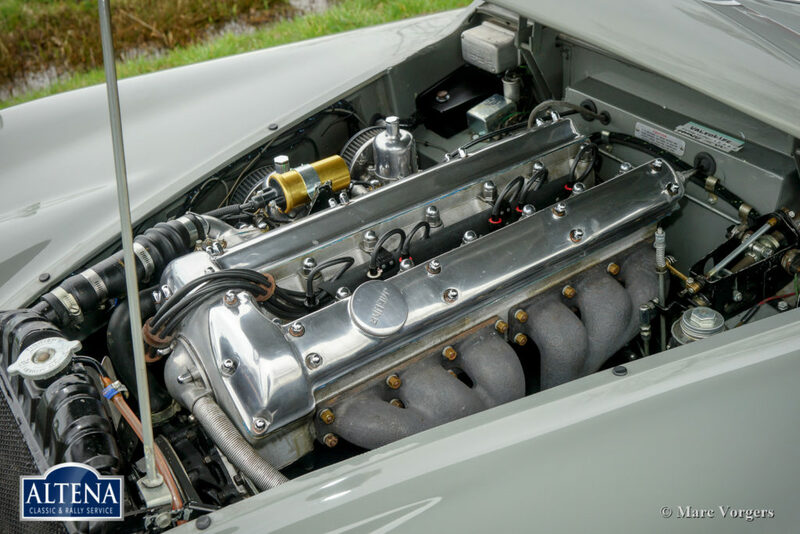 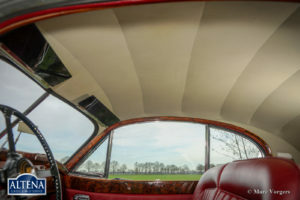 The chassis, bodywork and the interior were extensively and perfectly ‘body-off’ restored in the Netherlands. 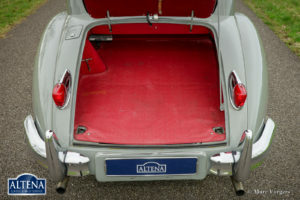 The bodywork was epoxy coated and the final smoothening was done using the minimal amount of filler. 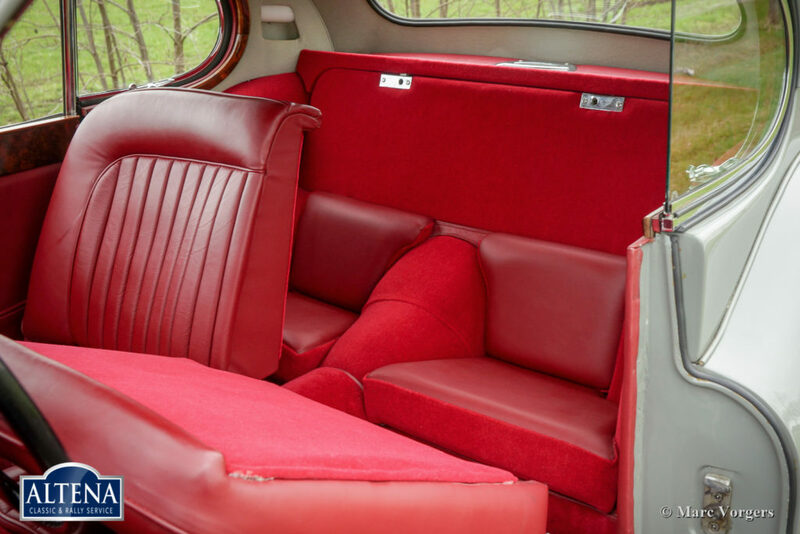 Every single part was restored. The engine was sent over to the United Kingdom to be overhauled by the firm of Forward Engineering (Paul Jaye and Ron Beaty). 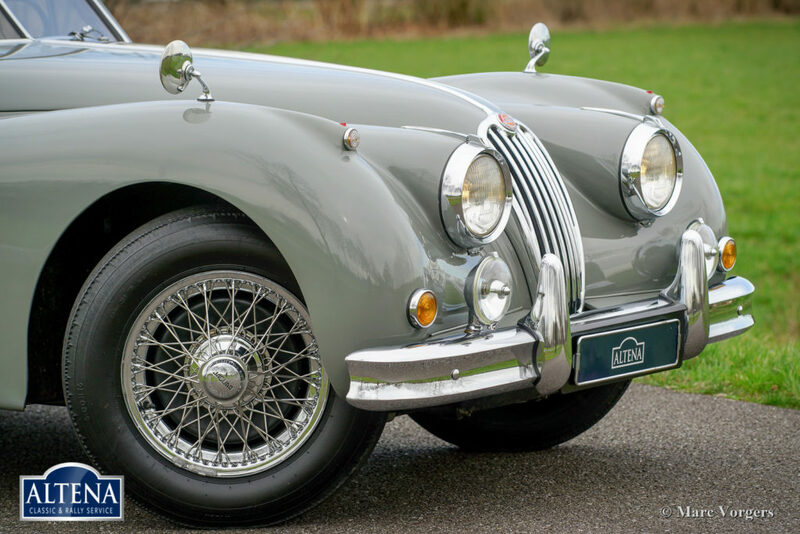 Today the Jaguar still looks a picture; This XK 140 FHC is in excellent to superb condition throughout! 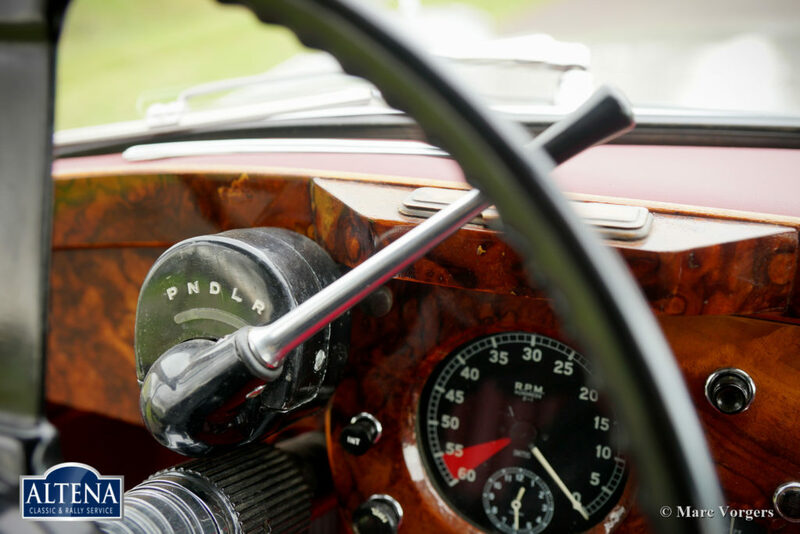 The car drives delightful and the automatic Borg-Warner 3-speed gearbox shifts gears as smooth as it should. 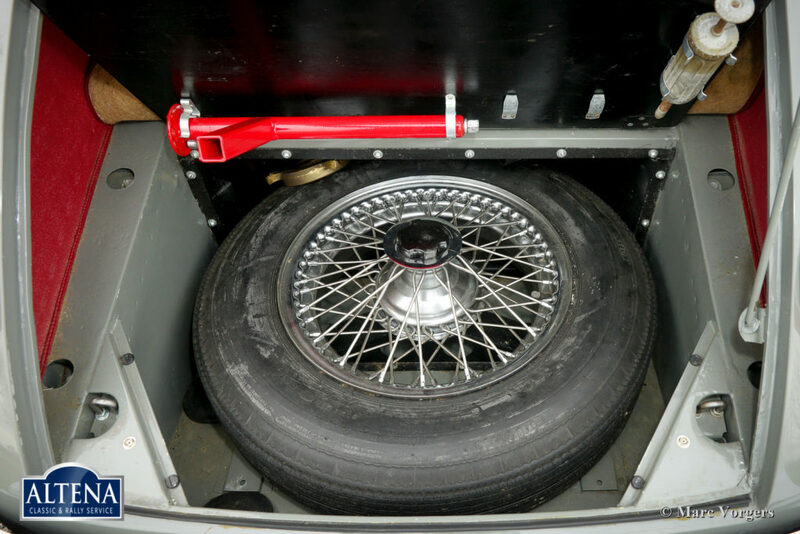 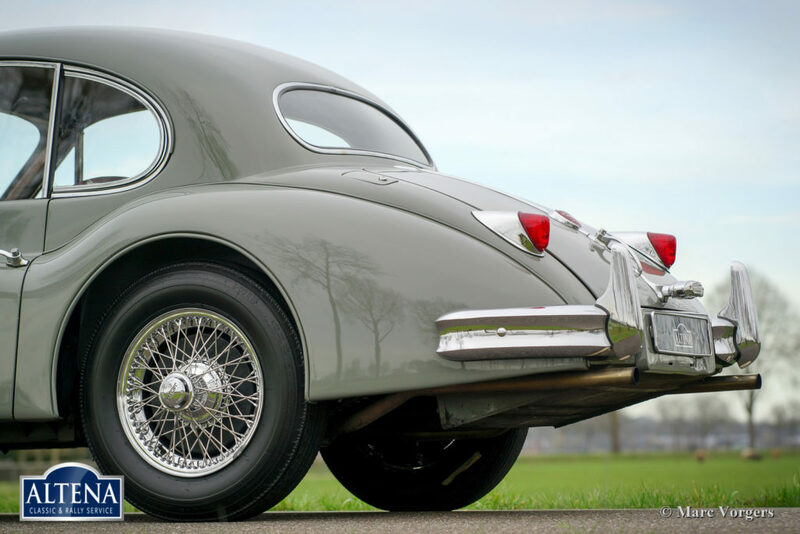 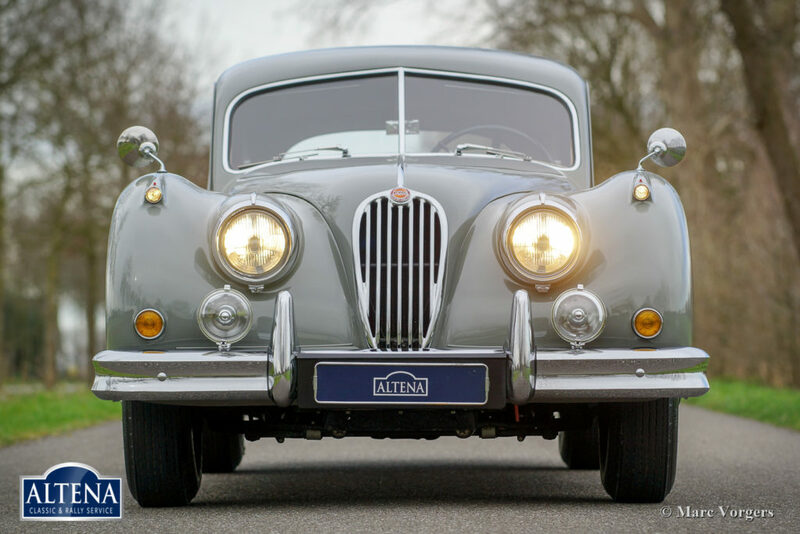 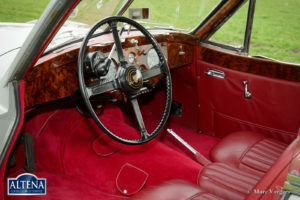 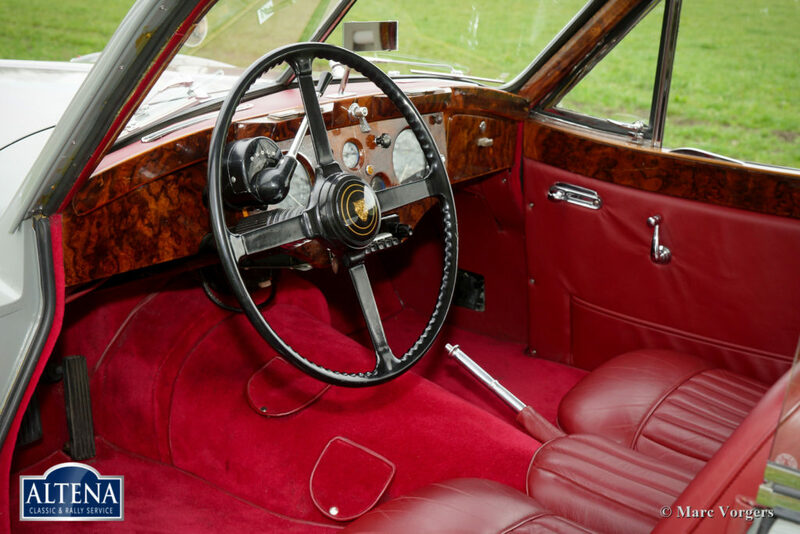 The car features a beautiful period radio with chrome front, chrome wire wheels with Stainless-Steel spokes, and Lucas spot-lamps at the front. 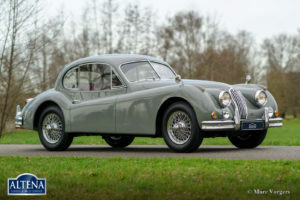 This is a very rare (may be unique?) 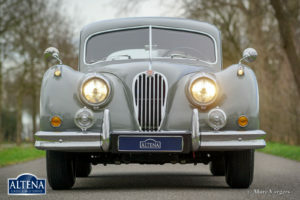 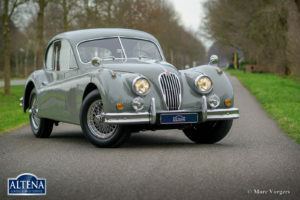 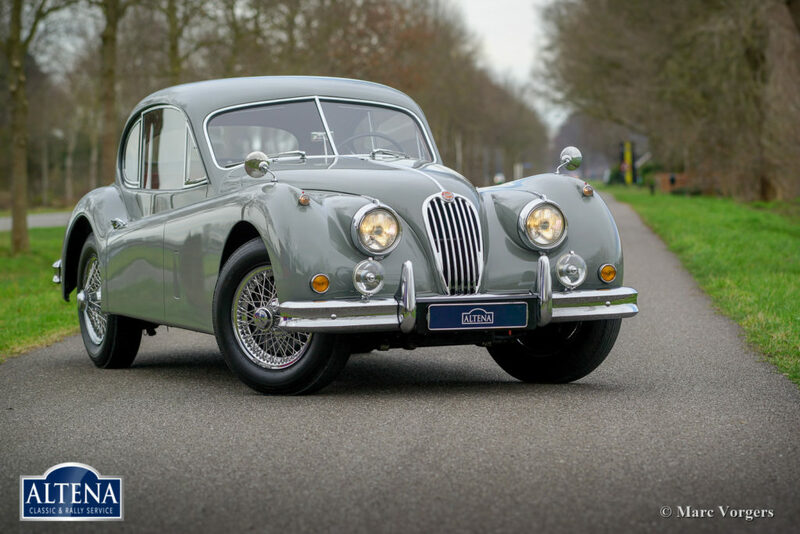 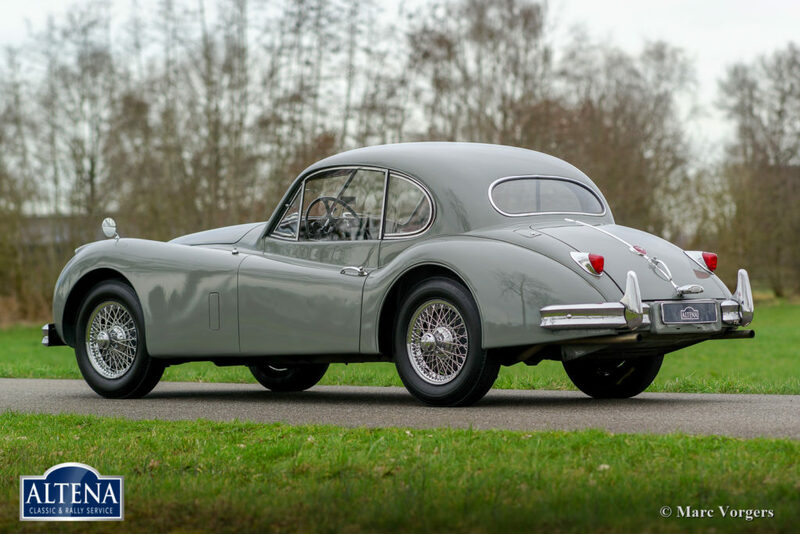 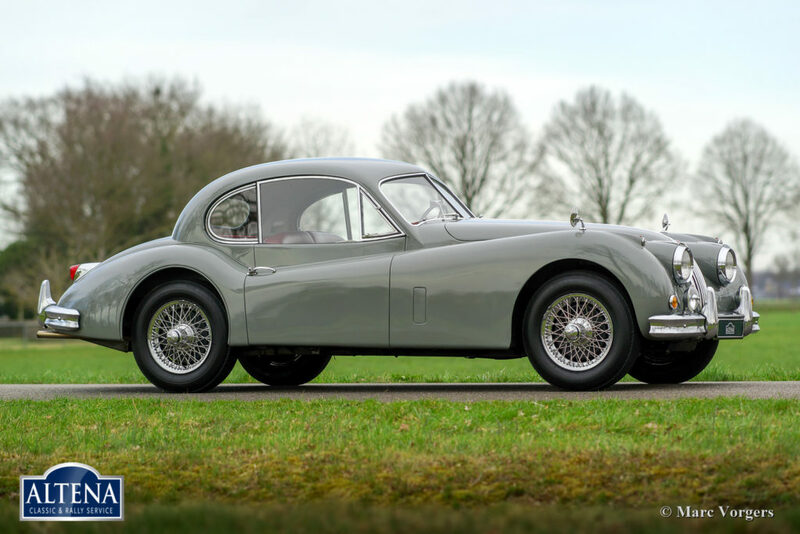 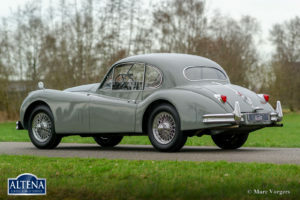 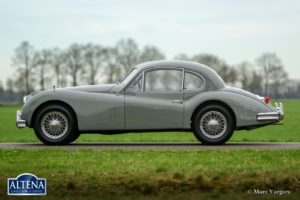 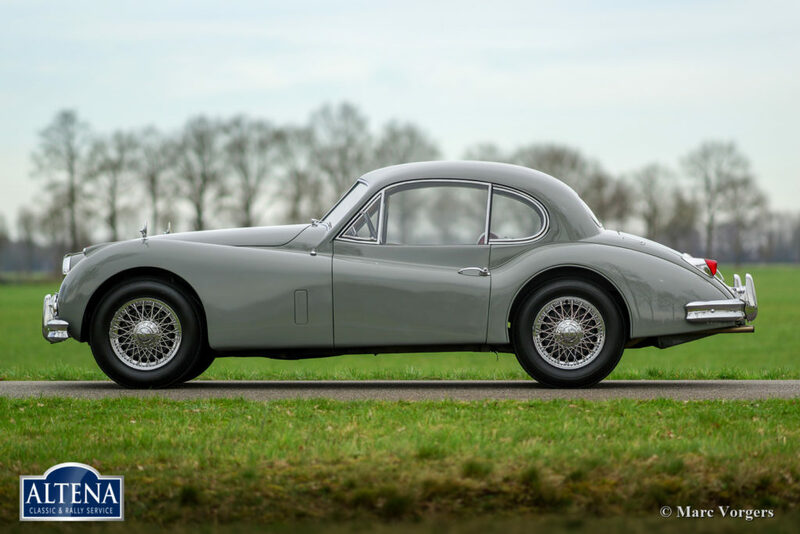 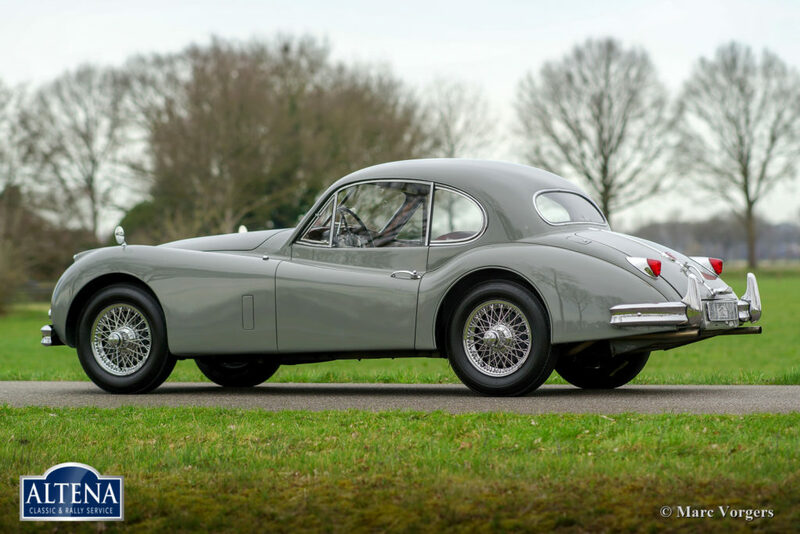 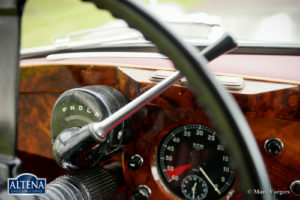 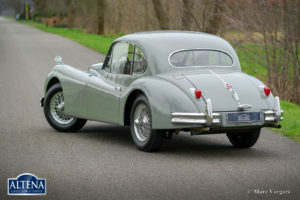 Jaguar XK 140 FHC with Special Equipment package and automatic gearbox. 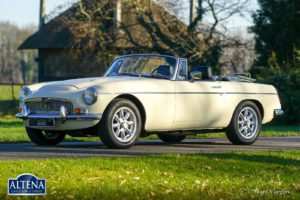 An excellent condition and beautiful example!